The NBA announced today that DeAndre Jordan has been selected by the coaches to the Western Conference All-Star Team as a reserve for the 2017 NBA All-Star Game in New Orleans. This is Jordan’s first All-Star Game appearance. He is first in the NBA in rebounding (14.0) and field goal percentage (.690), while averaging 12.5 points and 1.79 blocks per game. The 2016 First Team All-NBA and First Team All-Defense member is averaging 16.7 rebounds per game for the month of January and has notched a league-leading eight games with at least 20 rebounds. 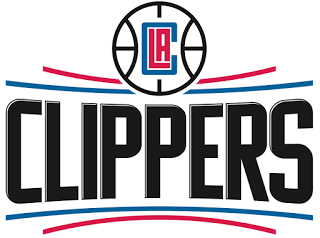 The Clippers franchise has now been represented in the All-Star Game a total of 27 times by 12 different players (DeAndre Jordan-2017; Blake Griffin- 2011, 2012, 2013, 2014, 2015; Chris Paul - 2012, 2013, 2014, 2015, 2016; Chris Kaman - 2010, Elton Brand - 2002, 2006; Danny Manning - 1993,1994; Marques Johnson - 1986, Norm Nixon - 1985, World B. Free - 1980, Randy Smith - 1976, 1978; Bob McAdoo - 1974, 1975, 1976 and Bob Kauffman - 1971, 1972, 1973). Joining Jordan as reserves for the Western Conference are: DeMarcus Cousins (Sacramento), Marc Gasol (Memphis Grizzlies), Draymond Green (Golden State), Gordon Hayward (Utah), Klay Thompson (Golden State) and Russell Westbrook (Oklahoma City Thunder). The 66th NBA All-Star Game, set for Sunday, Feb. 19 at 8 p.m. ET at Smoothie King Center, will be televised by TNT and will also be available on the Watch TNT App and on TNT Overtime. In addition, the game will be broadcast on ESPN Radio, with audio also available on the ESPN app. The midseason classic will reach fans in more than 200 countries and territories in more than 40 languages.